Federal funding for public broadcasting currently totals $445 million per year, an amount that has not grown in the last 5 years and equals approximately $1.35 per American. Funding is approved through the appropriations process and distributed to the Corporation for Public Broadcasting (CPB), a nonprofit organization that was established as part of The Public Broadcasting Act of 1967 to facilitate the growth and development of public television and radio to provide instructional, educational, and cultural programming. The vast majority of federal funding is used to provide operational support to more than 1,400 local public radio and television stations. CPB administers grants, evaluates station effectiveness and ensures accountability to Congress and the President. CPB’s administrative overhead is very low at less than 5% of federal funding. 220 of the total 580 CPB grantees are considered rural, based on population density. In recent years, CPB has shifted its strategic direction to prioritize resources to rural stations which face unique challenges. Rural stations depend more on CPB funding than urban stations. In FY2014, CPB grants represented 18% of an average rural station’s revenue, versus 11% for urban stations. JPR is considered a rural station, receiving a FY2017 CPB grant of $425,826, an amount that totals approximately 14% of our operating budget. Rural stations generally have a harder time raising money from individual donors than urban stations. In FY2014, individual donations represented 24% of an average rural station’s total revenue, versus 34% for urban stations. 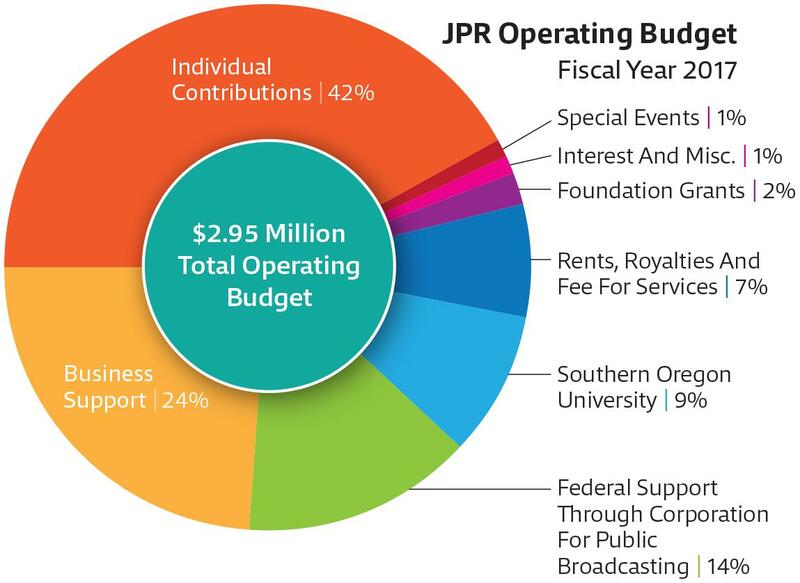 JPR listeners are far more generous than all national averages, contributing over 43% of funds needed to operate JPR in our most recent fiscal year. Due to the low population density of its listener and viewer bases, and the fact that they often operate multiple transmitters and translators in order to reach remote areas, broadcasting and engineering costs are higher at rural stations than at urban stations. In FY2014, broadcasting and engineering costs represented 23% of the average rural station’s total expenses, versus 15% for urban stations. Because of the vast, mountainous region JPR serves, broadcasting and engineering costs account for 37% of JPR’s total annual expenses. Of all the federal programs with which JPR comes in contact, CPB is the most effective and should serve as a model for other federal programs. It is a small federal program efficiently administered by a non-profit organization instead of a large federal bureaucracy. It takes a bottom up approach, distributing seed funding to locally governed organizations. And, it provides core organizational capacity, especially for rural stations like JPR, that leverages over $7 in privately raised funds for every $1 of federal support. In late January a story in The Hill reported that the Trump administration is using an outline published last year by the Heritage Foundation, a conservative Washington, D.C. think tank, as a blueprint for its fiscal year 2018 budget. This budget outline proposes “privatizing” CPB (along with eliminating the National Endowment for the Arts and National Endowment for the Humanities and “sun setting” the Head Start program). While it is not entirely clear what “privatizing” CPB means, the Heritage Foundation plan would eliminate the $445 million in federal funding that supports CPB’s grants to local public radio and television stations. 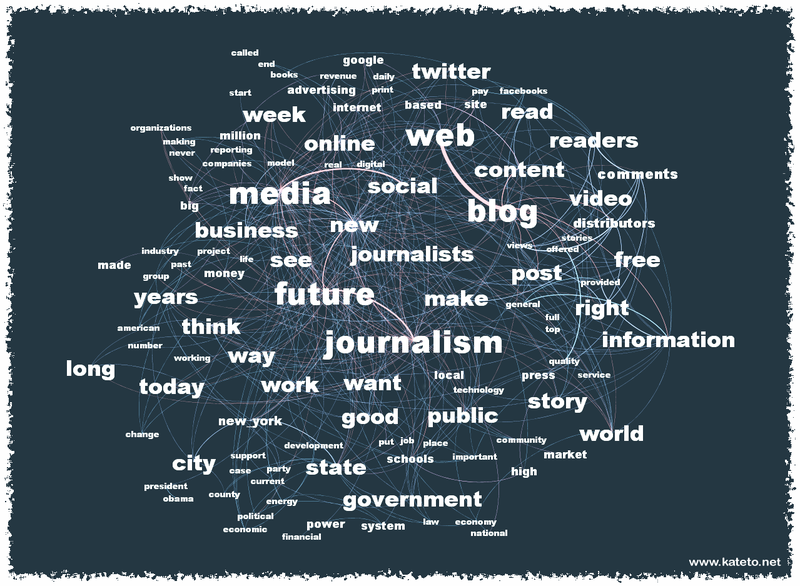 As this issue unfolds, we’ll keep you apprised so that you can share your views with your elected representatives. As I write this in early February, President Trump’s first 2017–18 budget outline is expected to be released at the end of this month with a detailed budget to follow by late April. While the future of federal funding for public radio is uncertain, we do know that listener support is, and will remain, the essential ingredient that gives life to JPR’s service to the region. As we plan for our upcoming fiscal year which starts on July 1st, your support will be more important than ever. We’re looking forward to our Spring Fund Drive, which takes place April 6–12, and we hope you’ll once again generously support our work. Paul Westhelle is JPR’s Executive Director. As we welcome a new year, all of us at JPR are reminded of the special challenges and opportunities 2017 will bring.